Eastern martial arts were introduced to Hungary decades ago and have found a great number of followers since then. Japanese culture, history and arts also captivated the souls of many. I often get the chance to meet masters and practitioners,- all of them enthusiastic and devoted. These encounters led me to begin to explore the philosophy behind martial arts. First of all let’s take a look at some of the most well-known phrases. The first is: Warrior’s spirit, 武士魂. The next one is 道場で泣き、戦場で笑う, „To cry in the dojo, to laugh in the battlefield”. A true warrior fights in the dojo in a way that when it comes down to real fight in the battlefield, he will not be caught off guard. His concentration, the unity of his mind will not be broken, he will be present in the „now”. Concentration. 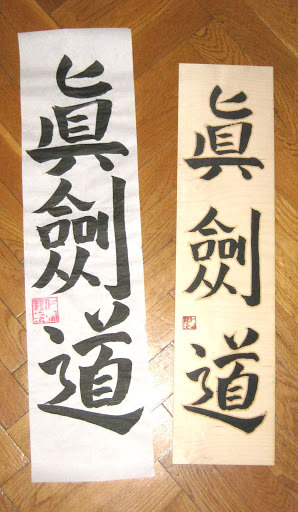 It is by no means wonder that the next calligraphy is 精神統一,or concentration. To put it more precisely, the text reads „focused mind” or” focusing on something”. The gathering the mind or spirituality into one point is a core concept in martial arts. 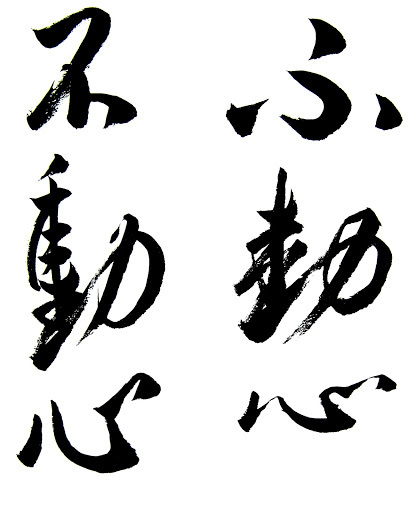 剣者心也 or „Your sword mirrors your mind”. This kendo phrase is widely used in martial arts demonstrations and tournaments. Its meaning can be interpreted in different ways: „ The sword is the mind” or „The sword is the heart”, but fundamentally it means that „The essence of kendo lies in the heart”. 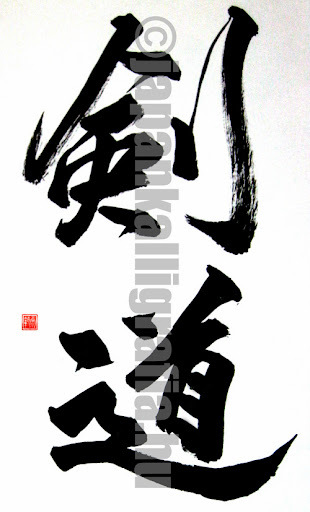 正勝吾勝 „True victory is victory over oneself„ – probably one of the most well-known phrases in martial arts. 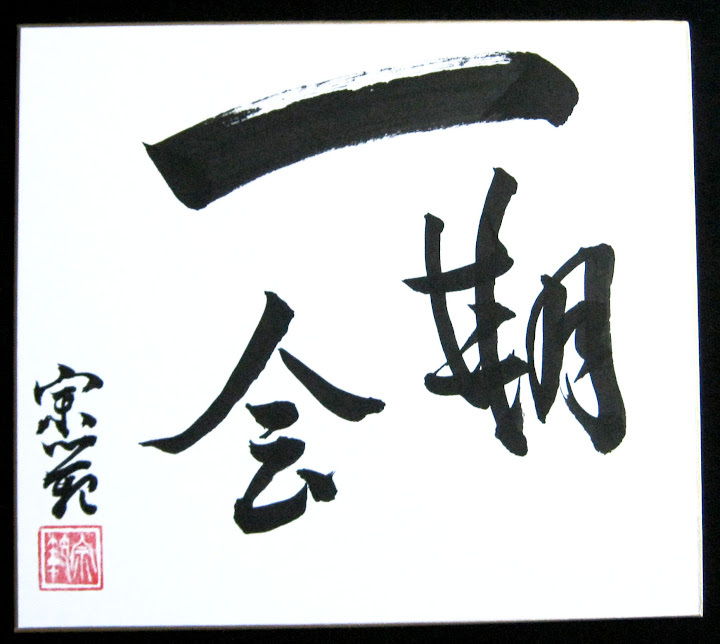 Another well-known phrase is 不動心 or „Unfettered mind”. It means the free, unattached flow of the mind. Takuan Sōhō (沢庵宗彭, 1573-1645) zen master calls the mind „unfettered” or „freed from all restraints” or fudōshin, when it merely reflects the „world” without any attachment. Takuan sums up the essence of zazen in this phrase. „Unfettered mind” is what a swordsman needs to attain to be able to gain victory over his opponent. 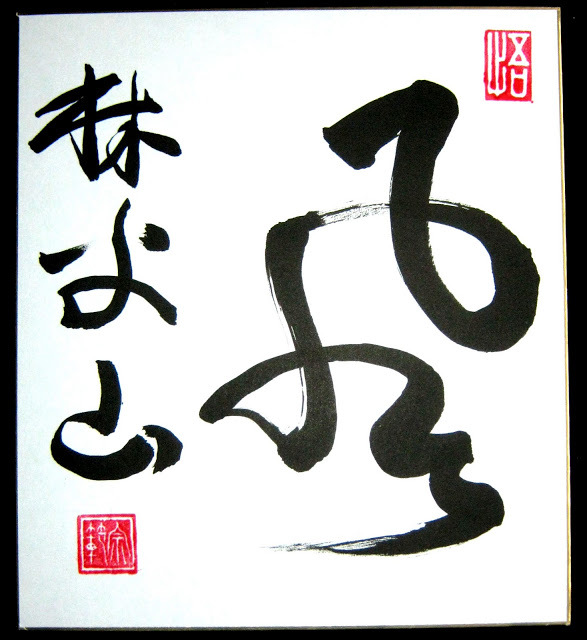 Ichi go ichi e, „ one moment one meeting” or 一期一会, The meaning of this phrase is closely related to the above one. Each moment is unique as it will never return. It cannot be re-lived or repeated again. If we fail to do something now, the opportunity is lost for ever. The circumstances can never be repeated. In the language of martial arts: „if you fail to strike a blow now, you will never get another chance”: this very moment can mean your life or your death. 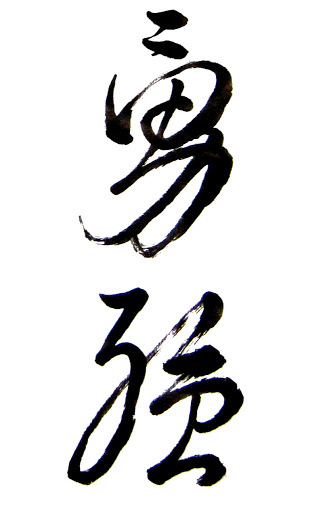 „The life-giving sword”, or 活人剣. This terminology is by Yamaoka Tesshū and expresses the idea that a true master can defeat his opponent without even having to draw his sword. 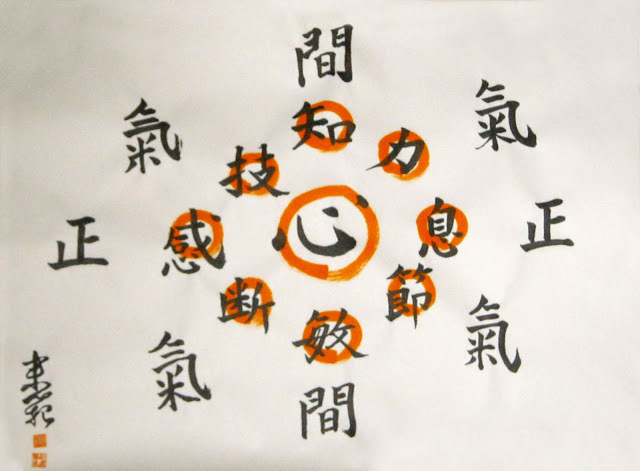 „Body and mind are one” or 拳禅一如. 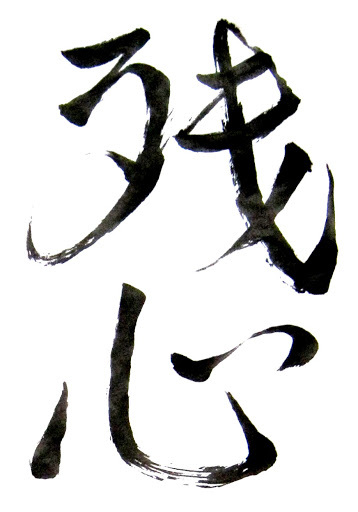 The Japanese phrase is: ken zen ichi nyo. In fact ken means „fist” and zen means „wisdom”. 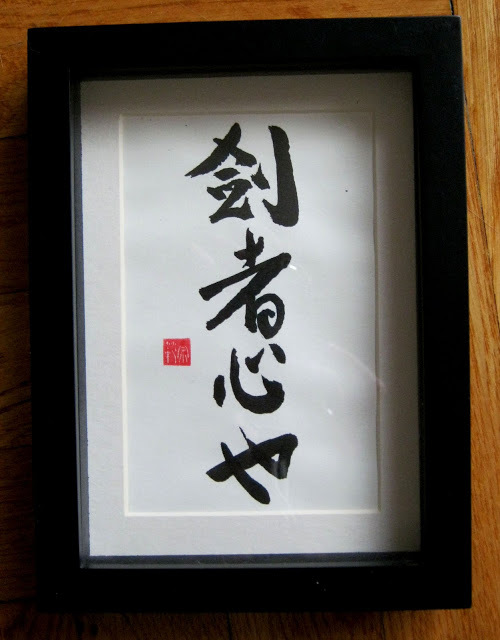 This same kanji is the kanji for zen buddhism, but in martial arts „fist” represents the „body” and „wisdom” refers to „mind”. 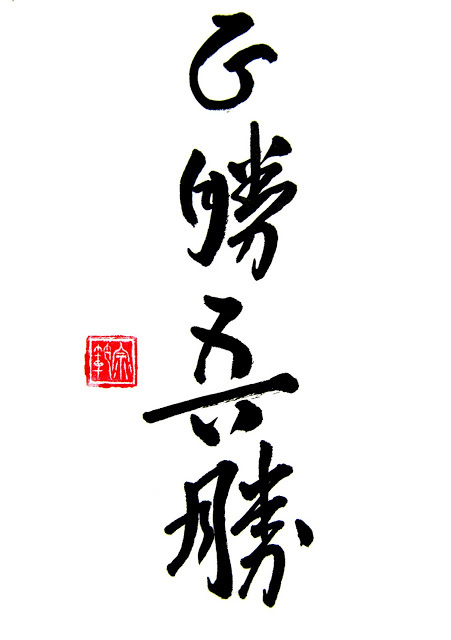 „Beginner’s mind” or 初心or shoshin is a terminology present both in martial arts and zen buddhism. Over the course of our lives we gradually learn all there is to learn and start acting mostly out of routine. We stop to focus on what we do: how we walk, how we sit, how we live. A beginner’s mind is somewhat like a baby’s mind that focuses on every little thing it does. We must return to this state of mind to become fully aware of our thoughts or moves. 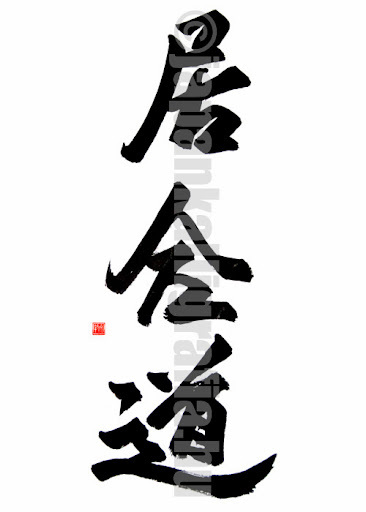 Finally „The power of bravery”, 勇強, or yūkyō, ” – a terminology frequently used in martial arts. It can also be interpreted as „bravery and power”. Further phrases include the „Book of Five Elements” (五輪の書) by Miyamoto Musashi, a kyūdō expression „Flawless shot, flawless hit“ (正射正中) or „To die before shame” (不名誉より死), „Maximum efficiency, minimum effort” (精力善用), „Martial fame” (武名), „One strike one death” (一拳必殺 vagy 一撃必殺) or „Kamikaze”, Japanese for „Divine wind” (神風). The following are Japanese names of different martial arts types, such as 合気道 (aikidō), 空手道 (karatedō), a 剣道 (kendō), 居合道 (iaidō) and finally „The way of the warrior” 武士道 (bushidō). 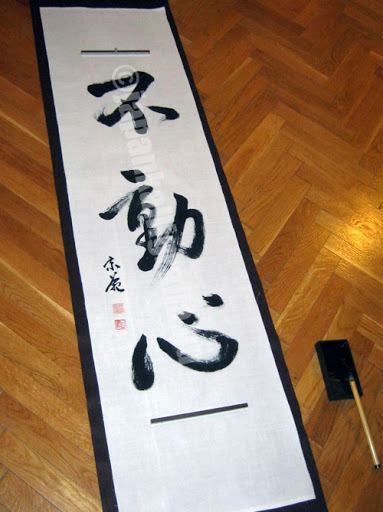 The kanji on the samurai battle standard, 風林火山 read „wind, forest, fire and mountain” meaning: „Be as swift as the wind, quiet as the tree, fight like burning fire, be as still as a mountain”. 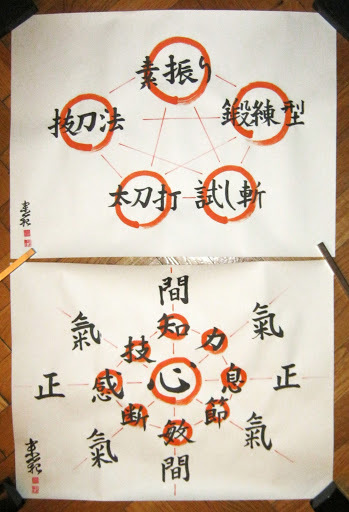 Last but not least let me continue with name calligraphies for martial arts dōjōs. The board made for the SAS Aikido, or Shurenkan Aikido Sports club can be seen next to the entrance. 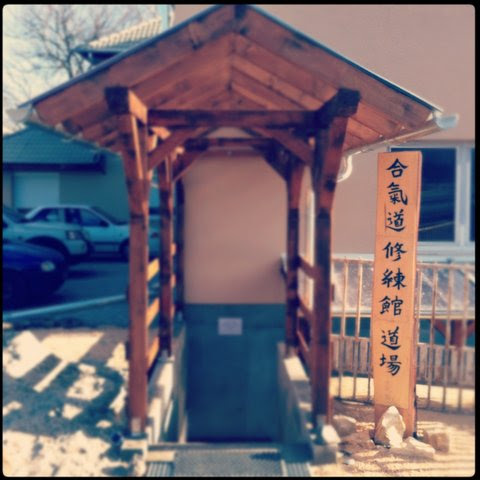 Norbert Hochstrasser, 3-dan master, leader of „Sas” requested a board reading Aikidō Shurenkan Dōjō to pay tribute to Japanese traditions (click here to read morei). It was my first big outdoor board, quite sizeable with a width of 30 cms and a height of 180 cms- a great honor and a great challenge to make. 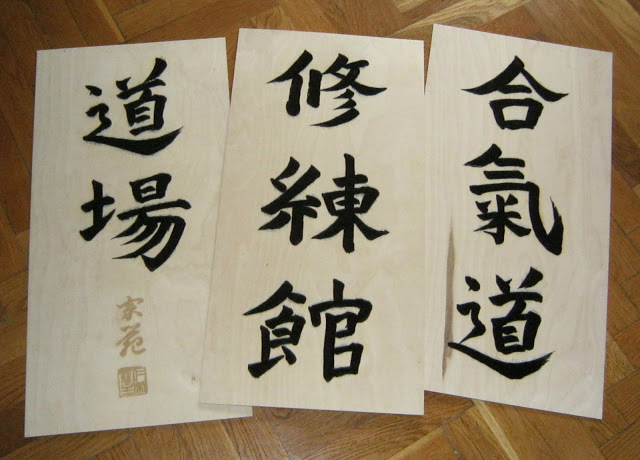 First I made the 1:1 size calligraphy, which, after digital processing, was applied onto three wooden boards. The completed board neeeded to be weatherproof to be put outside and I was more than eager to get down to work and face the challenge. My next project was a board again, this time for Shinkendō dōjō. It was an indoor board so I could use original Japanese calligraphy ink to brush it in. First I made a draft and with the use of that I made a 1:1 size calligraphy which I brushed on the board. The final size came to 15cm x 59 cm. 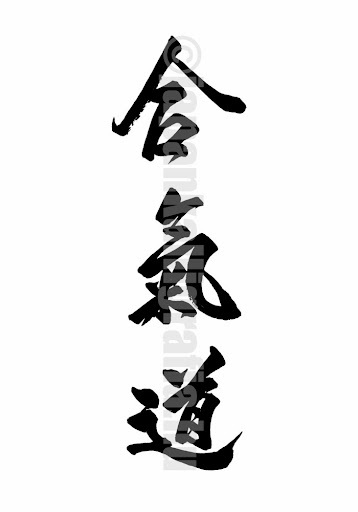 I also created a Wadōryū Karatedō calligraphy for an enthusiastic practitioner of martial arts. 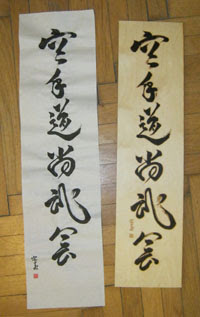 The calligraphy „Kenpō Bujutsu Tanrendō” was also a difficult one to make. It required a lot of preparation, practice and concentration. Although the practice of calligraphy – like martial arts, tea ceremony or ikebana – is a never-ending learning process, we can always do one thing: devote ourselves completely to our task and be present in the moment. This presence will then be reflected in anything we do, be it a success or not. 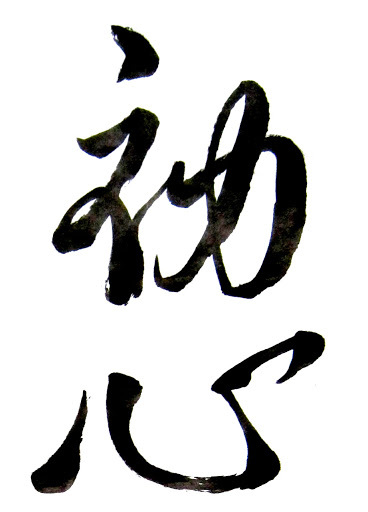 Shobukai (尚武会) calligraphy; „encounter of warriors’ spirit”. To the right is Karatedō Shōbukai (空手道尚武会), again on a board. 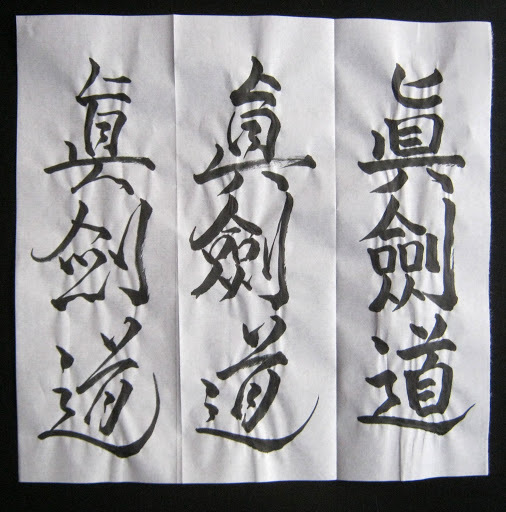 The original calligraphy was made on kakizome paper. 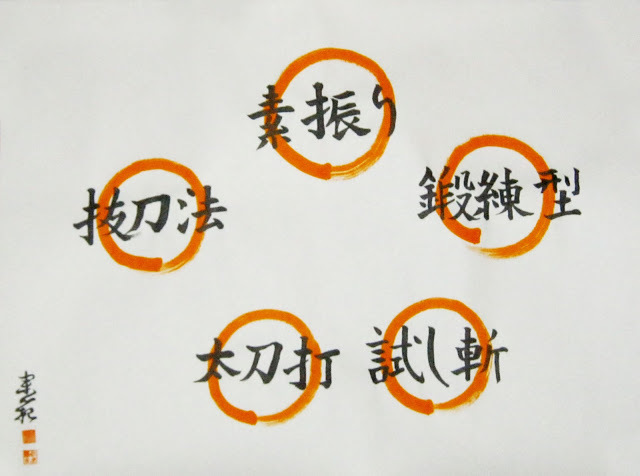 While the five-part circle of Gorin Goho Gogyo illustrates the comprehensive philosophy of Shinkendō dōjō the even more complex Kuyo Junikun picture shows the „eight ways” a practitioner has to follow in his martial arts practice. The wisdom of Obata sensei, father of these teachings and this style of martial arts, shines through his words. I was extremely thankful for this complex and challenging task as it required profound concentration and patience. 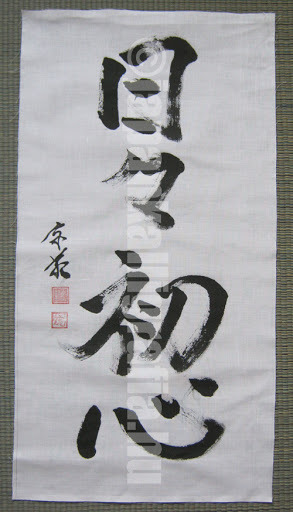 I can only hope that the completed calligraphy serves its purpose and brings joy to those who view it. Please click on the links to view the websites of martial arts dojos and enjoy their art!